Back in the early 1900s, Henry Ford introduced the first moving assembly line for cars. But it wasn't until the 1960s that factories began to rely on robotics to meet their manufacturing needs. Robots were faster and more efficient than human workers and led to the increase in automation we see today in the auto sector. Fast forward to 2018, and the reality is that machines have more exposure to information than any one individual can hope to have. As a result, they're more equipped to make certain “decisions” than we are. They're not used just for storing and analyzing data—they've become partners in roles that at one time only humans could perform. This shift is the basis for artificial intelligence (AI). AI has taken over the workforce. Machines and tech products with AI can do things like sell you coffee, assist during surgery, and deliver takeout. To stay competitive, it's important for product managers to understand this changing landscape. Simply put, we can program a machine to do just about any job a person can do. Machine learning is what gives AI the ability to “think” for itself. By using a set of defined algorithms and data, programmers have created computers, apps, websites, and more that enhance user experience. Through machine learning, apps learn from repeated user actions to give them recommendations or specific information. 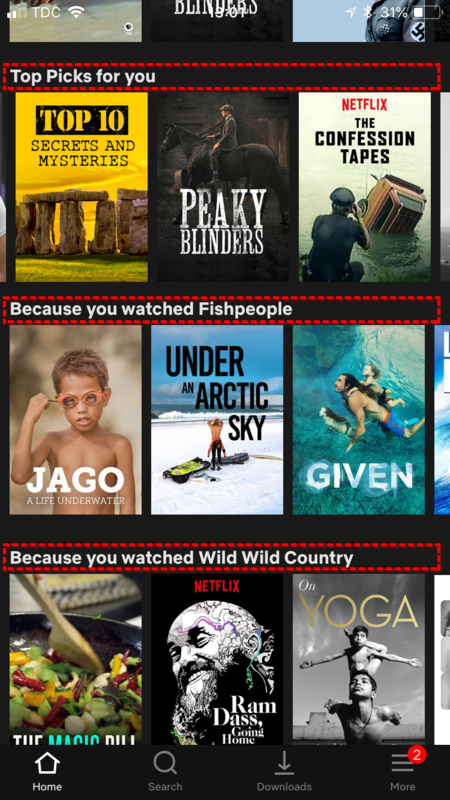 Based on your preferences, habits, and ongoing selections, Netflix offers up related recommendations. Tesla's self-driving cars use their predictive capabilities and enhanced driving features to seemingly make navigational decisions with minimal human intervention. Apple's Siri predicts user questions and offers up the most relevant resources. Since its introduction in the 1950s, machine learning has moved from rudimentary to advanced to become more widespread in tech products. Meaning, it's now the norm. We're not talking just about large tech giants, either. Companies in retail, health care, automotive, and many other sectors rely on it because advances in machine-learning frameworks and platforms make it easier for companies that don't know much about inner workings of machine learning to use it. For example, new and emerging companies can use AI and machine learning to automate building a website. Simply saying that you use machine learning doesn't go far enough to differentiate yourself from other tech products; they're using it, too. What makes you stand out from your competitors is how you use all of that data. How you use machine learning is what differentiates you from everyone else. By using the data you collect, you'll be in a better position to design a product that customers care about. Think about human interactions: To nurture longevity, don't lose touch with your users. They interact with countless products on a daily basis, so to make your product stand out, use what you learn from them to improve their experience. While a chatbot is convenient because it answers questions quickly, don't underestimate the value of offering a human option. Users will remember you not only for your advances in tech but also for how easy it was to work with an actual person, compared with other companies. Be smart about data: Machine learning takes the pressure off data analysis because it automatically gathers customer data and feeds it into your database. But remember that the larger you get, the more likely it is for your data to get wider as it gets longer. Use the extra information you collect—like click-through rates, time on page, search history, and product preferences—to know what users are doing and to help them see why you're the best option. Know your users better: The better you know and understand your users, the better you'll be at giving them a product they relate to. In addition to all of the behavioral analysis that you currently do, machine learning helps fine-tune your product offerings to meet the specific needs of your users. Each user will have a unique experience with your product because you've differentiated yourself from the pack. Understand cause and effect: Machine learning allows your app to track user history, but that doesn't mean you can say with certainty what your users are going to do. Machine learning offers a prediction, so use that to give users options to choose from. Based on what they choose, make adjustments to your product so that your users can see how you've solved a problem better than any of your competitors. Advances in tech are coming, whether you like it or not. What's important is that you accept it. You don't have to see AI and machine learning as competition—a la Skynet. This technology isn't meant to replace you; it's meant to enhance what you do. It's an avenue to make your job more efficient and productive. Build a large data set. To get the most out of your AI and machine learning, you have to continuously collect data. As you enhance your product, track what that does to user actions. Use this new information to further enhance your product to give users exactly what they need. AI and machine learning help you understand your users. As a product manager, you know that meeting the needs of your users is vital for a successful product. Harness the data you collect to build behavioral personas for your customers. The more you know about them, the better your product will be. It's your job to be the advocate for AI adoption. To stay competitive, you're going to have to adopt AI and machine learning at some point. While some question what the future will look like with a growing reliance on these advances, part of your job will be to convince your teams of the merits of using AI. For example, show your development team how AI will make your product better by helping them be more efficient. AI is growing at a rapid pace. It seems with every passing month a new, innovative product is introduced. There's no escaping the fact that AI is the future of product efficiency. It's here to stay, and part of your job will be to understand and implement it. The biggest win is the vast amount of information you stand to gain from your users. You want your product to stand out from your competitors, and this is how you'll do that. Stay informed so that as users demand more efficiencies, you're prepared to give them a product that enhances their experience.